Where are the council and commission meetings held? 1. When are the council and commission meetings held? The City Council meetings are held on the second and fourth Wednesday of each month at 5:30 p.m.for closed sessions and 6:30 p.m. for open sessions. 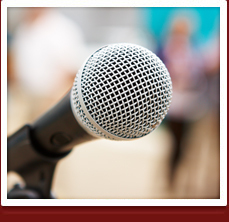 The Planning Commission meetings are held on the third Wednesday of each month at 6:30 p.m. The Parks and Recreation Commission meetings are held on the first Wednesday of each month at 6 p.m. The Senior Citizen Commission meetings are held on the fourth Monday of each month at 9 a.m.
2. Where are the council and commission meetings held? 3. When will the City Council agendas be available? 4. How can I find out what is on the agenda? The agenda and supporting documentation are available at the public counter at City Hall, the Thursday prior to the City Council meeting and can be viewed any time Monday through Thursday, 8 a.m. to 6 p.m. The agendas are also posted on the city's website, as well as bulletin boards at City Hall, the library, and the Irwindale Post Office. 5. How are council members elected and how long do they serve? Council members are elected at large on a nonpartisan basis to serve a four-year term. 6. How and when is the mayor selected? The mayor is appointed annually by the City Council. The council reorganizes the first meeting in November of each year. 7. How can I make an appointment with a council member? 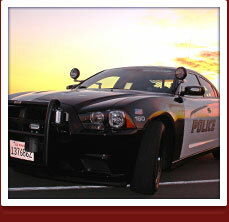 To schedule an appointment, please call the City Manager's Office at 626-430-2217. 8. 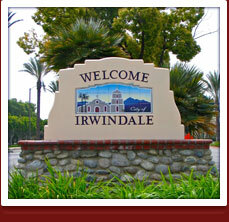 When did Irwindale become a city? 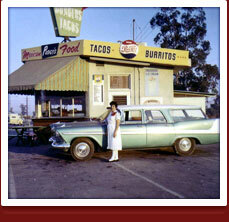 The City of Irwindale was incorporated on August 6, 1957.